Andare at Glenloch is an active adult community featuring low maintenance ranch style homes conveniently located less than two miles from Routes 25, 31, 62 and County Line Road! Just minutes to Fox River Grove METRA or Barrington METRA and lots of shopping and restaurants in Algonquin, East Dundee and Barrington! Featuring a community clubhouse, two wetland/pond areas and walking paths. Seven floor plans to choose from starting in the low 200's and ranging in size from 1224 sft to 2171 sft! 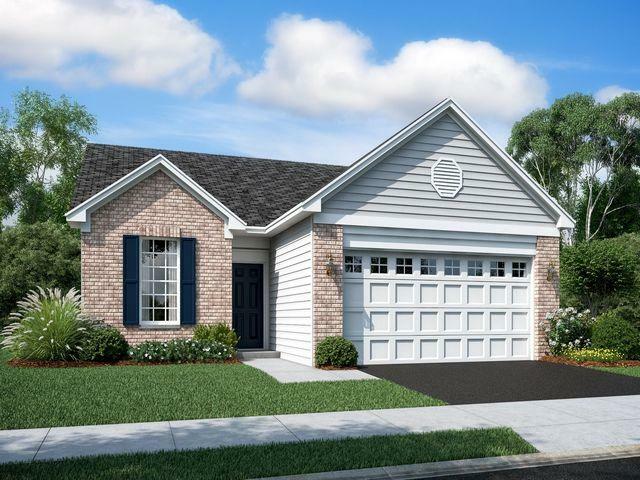 The BENNETT is a 2 bedroom/2 bath/2 car garage with a study! Open living area! Island kitchen with stainless steel refrigerator, oven, microwave, and dishwasher! Owner's suite include walk-in-closet and private bath! HouseWorks Home Energy Efficiency Program! Many included features and upgrade options available! UPGRADES include hardwood floors, carpet, appliances, lighting, laundry tub, and more!